I’ve always been fascinated with Greek mythology, and Richard Wagner felt the same way. Taking his cue from the ancient Greeks, Wagner wanted to transform the theater in Germany into what it had been in Classical Greece: a powerful, influential institution that was a part of people’s everyday lives. It should be no surprise, then, that elements of the Greek tradition and Greek myth can be found in his great cycle of four operas: Der Ring des Nibelungen (The Ring of the Nibelung). In this article, we will examine a few places where you can see such elements in the second opera of the cycle, Die Walküre, soon to be on stage at Lyric Opera of Chicago. Let’s explore Greek Myth in Die Walküre. One of my favorite stories in Greek mythology is Homer’s epic poem The Odyssey. In this story, there are certain recurring themes that give us clues as to the values the ancient Greeks held. One of those values was the notion of ξενία (xenia, pronounced kse-nee-ya) – the overwhelming, extreme hospitality shown to guests. Odysseus and his son Telemachus both experience xenia in their travels: Telemachus experiences it with King Nestor and King Menelaus, and Odysseus likewise experiences it when he grasps Queen Arete’s legs, thereby instantly granting Odysseus suppliant status. According to Greek custom, guests were to be given gifts, food, and drink – anything and everything available – before ever even being asked their names. Those characters who spit in the face of xenia – the man-eating cyclops Polyphemus and the suitors who torment Penelope, Odysseus’ wife, for instance – are vile creatures, unfit for civilization. Every time I watch the opening scene of Die Walküre, I think of xenia: Siegmund, the suffering traveler (much like Odysseus), is offered water and sweet honey mead and his wounds are dressed by Sieglinde before she ever even asks his name. Despite the fact that he despises Siegmund, even Hunding allows the travel-weary visitor to stay in his house for the night. Though not the extravagant xenia we see in The Odyssey, it nonetheless is indeed there in Die Walküre. 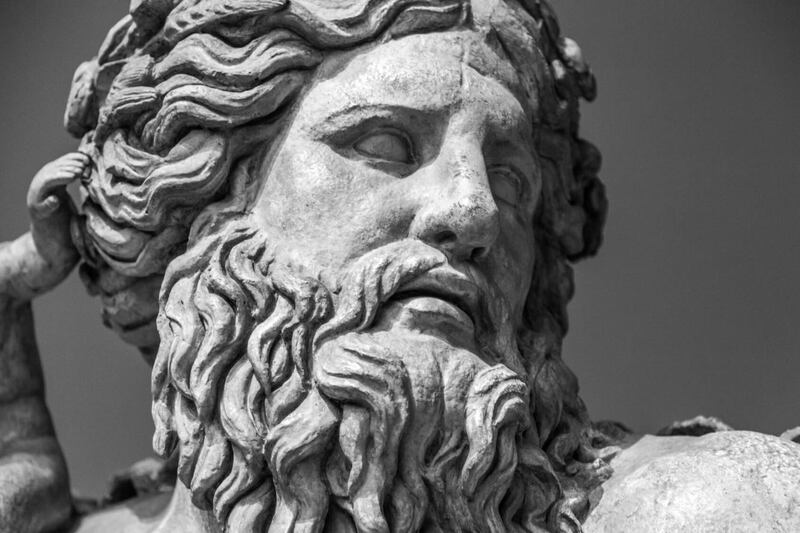 There are other striking parallels with The Odyssey: Odysseus regularly washes up on some unknown shore after being battered about by Poseidon on the open sea. Die Walküre opens with Siegmund’s escape from the storm, desperately entering a house unknown to him. In the first book of The Odyssey, we meet Zeus and Athena, father and daughter, both gods. Athena begs her father to allow her to help Telemachus, Odysseus’ son, because of the love she feels for Odysseus. Act II of Die Walküre opens with a discussion between Wotan and Brünnhilde – father and daughter, both gods – about Wotan’s son Siegmund, whom Brünnhilde loves. 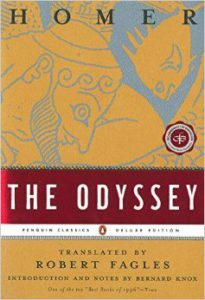 In The Odyssey, Odysseus regularly lies about his identity, even when he arrives at his homeland of Ithaca. In Die Walküre, Siegmund says that his name is Wehwalt in the opening scene, opting to hide his true identity, at least for a little while. There are also the parallel relationships in Die Walküre and Greek myth, one of which we’ve already mentioned. Zeus’ favorite child is the gray-eyed, spear-carrying warrior goddess Athena, while Wotan’s favorite child is his warrior daughter Brünnhilde. Do you remember any of the tales of jealous Hera, Zeus’ wife, getting back at her husband for his adulterous acts? In the beginning of Act II of Die Walküre, Fricka, Wotan’s wife, angry with her husband for his infidelity and the birth of twins – Sieglinde and Siegmund – that resulted from it, makes her husband promise to allow Hunding to strike down Wotan’s own child. How does myth add to the wonder of Richard Wagner’s Der Ring des Nibelungen? Wagner drew on both Greek and Norse mythology in creating his masterful Ring Cycle. Most people are well aware of the Norse influence, but when I watch a production, I’m always surprised by how much I recognize from Greek mythology. 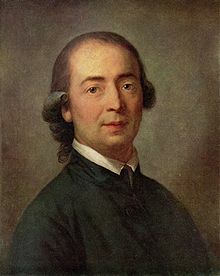 Not to go all Romantic on you, but when I watch Die Walküre, I can’t help but agree with Johann Gottfried Herder, a late 18th century philosopher, poet, and theologian. Herder, an early Romanticist, believed that mythology is not only truth; it is profoundly true. Myth is an almost involuntary human reaction to the world, a reaction of humans who are so awed and inspired by their surroundings that myth just pours out of them. Myth is an attempt to express what it means to be a living and breathing creature; it delves into and explores our deepest selves. I can certainly understand how it would appeal to a composer like Wagner!